SKILLMAN, NJ -- The ITA has announced its 2013 national award winners for Junior and Community Colleges men's and women's tennis. The national winners are listed below, followed by a brief bio of their accomplishments. 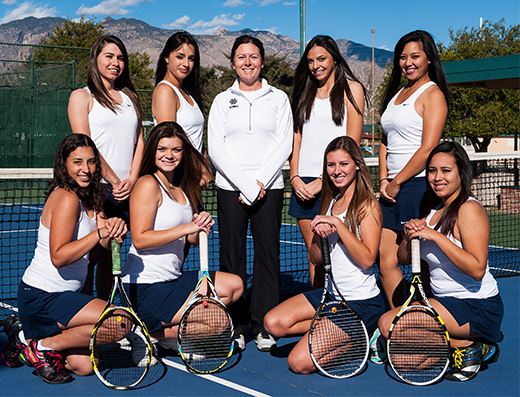 Gretchen Schantz, the 2013 Wilson/ITA Women's Coach of the Year, has consistently improved the performance level of her teams over the years at Pima Community College. Her 2013 squad broke into the Top 10 in the ITA Junior and Community Colleges Women's Team Rankings earlier this season. She guided her team to a berth in the NJCAA Women's Team National Championship, where they placed 13th, after a second place finish in the Region I Championship. Schantz is known for her tireless recruiting and dedication to her players. She is always looking to help her players continue on to four-year institutions, whether that is to continue their tennis and academic careers or their academic careers only. Roger Anstine, the 2013 ITA Women's Assistant Coach of the Year, has been a tremendous asset to Mesa Community College in the four years he has served as assistant coach. He has helped lead the women's team to three appearances in the NJCAA Women's Team National Championships, including this season. The 2010 season was his squad's most successful in his career, which featured claiming the Arizona Community College Athletic Conference title from perennial powerhouse Eastern Arizona. He is very passionate about his role as an assistant coach and plays a significant role in transforming the incoming high school girls into competitive, driven, collegiate student athletes during their time at Mesa Community College. Jim Elton, the 2013 Wilson/ITA Men's Coach of the Year, is a four-time Orange Empire Conference Coach of the Year. In his first year at the helm of Riverside City College, he guided his team to the Orange Empire Conference Team Title, which was the first in school history. His squads have advanced to the CCCAA Dual Team State Championship in six of his seven seasons as head coach, including winning the title in 2008. This season Riverside City College finished with an impressive record of 17-4, advancing to the Quarterfinals of the CCCAA Dual Team State Championship as the fourth seed in the South Bracket only to lose to eventual champion Ventura College. Rod Coltman, the 2013 ITA Men's Assistant coach of the Year, took a break from tennis earlier in his career, but came back with an even greater passion for the sport. He helped Collin College collect seven victories over ranked foes heading into the 2013 NJCAA Men's Tennis National Championship. He has also been an integral part in running numerous major tournaments, including the NJCAA Men's Tennis National Championship, the Region Five Championship, and an ITA Summer Circuit event on the campus of Collin College for 10 consecutive years. He is actively involved with Special Olympics each fall as well. He is known as a disciplined and ethical coach who has made Collin College a great destination for both players and tournaments. Adrien Berkowicz, the 2013 ITA Men's Sophomore of the Year, has had an outstanding year at Tyler Junior College. He began the 2012-2013 season by winning the USTA/ITA National Small College Championships divisional and Super Bowl Titles, earning the right to play in the Division I USTA/ITA National Indoor Intercollegiate Championships in Flushing Meadows, NY, home of the US Open. He took down the 70th ranked player in Division I tennis in his opening match at that event and came up just short of upsetting the nation's number 9 player, falling in a tight three-set battle. He currently owns the top ranking in the ITA College Tennis and is ranked 10th in the nation in doubles. Berkowicz has committed to play for the Texas Longhorns next season. Hector Ramirez Rodriguez, the 2013 ITA Men's Rookie Player of the Year, has had a solid first year at Laredo Community College. He has primarily played at the number three singles position during his rookie campaign. Earlier this season he helped his team to a second place finish in the Region 14 Championship, earning Laredo a spot in the 2013 NJCAA Men's Tennis National Championship. He has been a great role model this season and is known as an exceptionally hard worker both on and off the court. Richard Catabona, the 2013 ITA Men's Player to Watch, had a tremendous impact on the Los Angeles Pierce team by stepping in and playing at the top of the singles lineup. He is currently ranked second in the ITA Southern California JuCo Men's Singles Rankings while also being ranked No. 13 in doubles. He finished his season by making a run to the quarterfinals of the 2013 CCCAA Men's Singles Tennis Championship. Catabona has developed a reputation for being a fair player on the court as well as a mentor off the court. Brandon Wolf, the 2013 Men's ITA/Arthur Ashe Jr. Award for Leadership and Sportsmanship honoree, has been actively involved in a number of community service projects along with being a tremendous leader for Harford Community College on the court. Growing up in a family that stressed the philosophy of helping others, he is a supportive and caring teammate who has helped his team grow stronger this season. He has served as a volunteer for activities such as church bingo, Our Daily Bread (the local soup kitchen), and collecting donations for the women's shelter each Christmas. He also spends time each summer helping move boxes and furniture for teachers changing classrooms at his mother's school. Shannon Beckett, the 2013 ITA Women's Sophomore of the Year, is currently ranked No. 1 in doubles and No. 4 in singles in the ITA JuCo Women's Rankings. She participated in both singles and doubles at the USTA/ITA National Small College Championships this fall, finishing fourth in singles and third in doubles. She completed her season with a combined singles and doubles record of 32-4 and was a major contributor to Johnson County's sixth place finish at the 2013 NJCAA Women's Tennis National Championship. Darya Ashim, the 2013 Women's ITA Rookie Player of the Year, made an immediate impact by being inserted at the top of the singles and doubles lineup for Diablo Valley. In addition to winning the Big 8 North Conference Singles Championship, she finished the regular season with an unblemished singles record en route to earning the No. 1 spot in the ITA Northern California JuCo Women's Singles Rankings. She is also ranked third in Northern California in doubles. Ashim helped Diablo Valley reach the quarterfinals of the CCCAA Dual Team Women's Tennis Championship. Clorinda Wessels, the 2013 Women's ITA Player to Watch, is currently ranked in the Top 5 of both the ITA JuCo Women's Singles and Doubles Rankings. She qualified for the USTA/ITA National Small College Championships in doubles in the fall with partner Amanda Gilson. This spring, the duo has beaten the third-ranked doubles pair of Fausthyara Pietersz and Nelo Phiri twice. In singles action this spring, Wessels has only been defeated by the top two players in the country. Wessels advanced to the Flight One semifinals of the 2013 NJCAA Women's Tennis National Championship to help Collin College finish third in the team standings. Tara-Beth Hall, the 2013 Women's ITA/Arthur Ashe Jr. Award for Leadership and Sportsmanship winner, has greatly improved her play to earn a spot in both the singles and doubles lineup for Meridian Community College. The hard work she put in over the summer moved her into the fourth singles spot, up from the seventh position a season ago. She is a Pre-Vet major with a current GPA of 3.87, earning her President's list scholar honors and induction into the National Two-Year Honor Society. She has also served as the President of her school's Fellowship of Christian Athletes chapter for the past two years. Tara-Beth is also actively involved in her community, volunteering with the Special Olympics, the Salvation Army, Laurie's Kids (a benefit for special needs children), and Love's Kitchen ( a local soup kitchen for the homeless). As the governing body of collegiate tennis, the ITA promotes both the athletic and academic achievements of the collegiate tennis community. 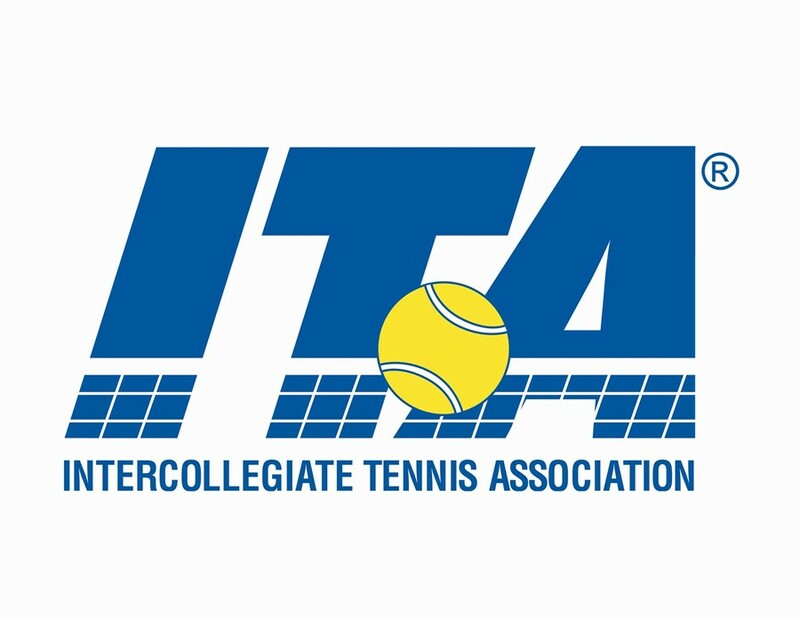 The ITA, which is comprised of nearly 1,700 men's and women's varsity coaches representing over 1,200 institutions, administers numerous regional and national championships and the Campbell/ITA College Tennis Rankings for over 20,000 college varsity student-athletes at the NCAA Divisions I, II and III, NAIA and Junior College levels. The ITA also has a comprehensive awards program for players and coaches to honor excellence in academics, leadership and sportsmanship. The official ITA web site is www.itatennis.com.